Prof. G. Haragopal is currently visiting professor at Bangalore, National Law School of India University (NLSIU), teaching to students of Master’s Programme in Public Policy (MPPP). Earlier he worked at the University of Hyderabad. He had set the Centre for Human Rights at the University of Hyderabad and was editor of Indian Journal of Human Rights. He was a Visiting Professor to Delhi University, Indian Institute of Advanced Studies, Shimla and North East Hill University, Shillong. He was UGC National Lecturer during 1989-91. Lectured at Oxford, London University, U.K, and Cornell University in U.S.A. He was a Visiting Professor at Upsaala University, Sweden. He participated in World Conference on Human Rights at Vienna on the invitation of United Nations. He was a delegate of National Rights Programme at Montreal, Canada. He was an ICSSR National Fellow at Tata Institute of Social Sciences at Hyderabad. Presently he is the Chairman of Kishore Bharati. 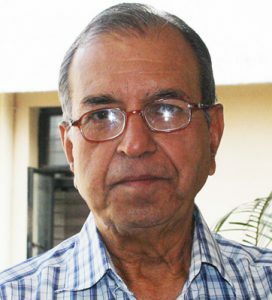 He published four books, edited three books in English and three books in Telugu and sixty research papers in National and International Journals. He has been associated with the Civil Rights Movement for the last four decades.